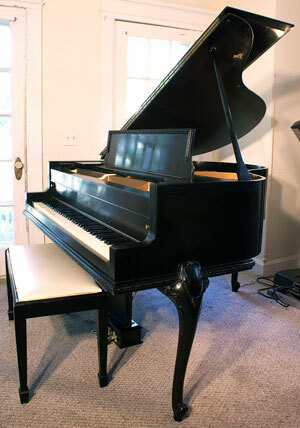 Steinway Model L, Ebony 1966, original parts all excellent condition, action just regulated, just received french polish. No cracks in sound board, pin block is tight, hammers very good. 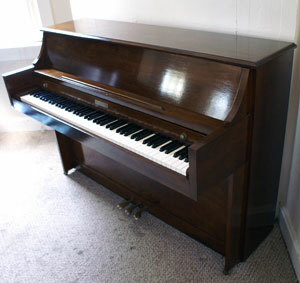 Piano had one owner and was lightly played. One year warranty. Free LI/NYC vicinity delivery. All else continental USA $475. Click Here To See the Sohmer Video Tour! 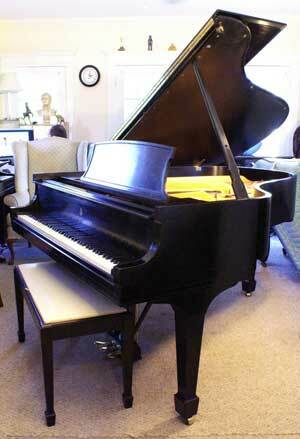 Superb Sohmer Grand Piano. Pretty walnut case. 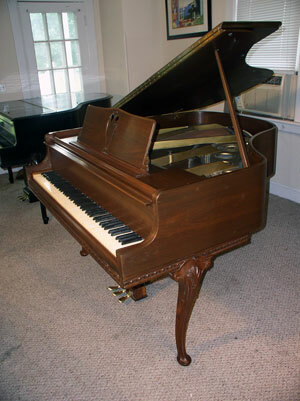 Full, rich Sohmer tone, original ivories, well regulated,everything great condition. Will last indefinitly. 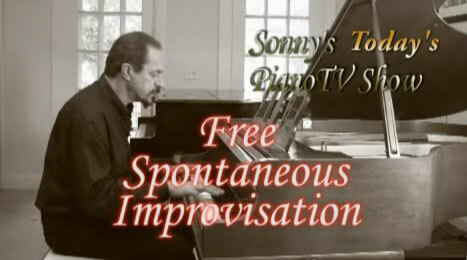 Great piano for musician or piano connisseur or for beginner. Not too many like this left around and certainly not in this condition. Questions Call Sonny Direct 631 475-8046. Free LI/NYC vicinity delivery. All else continental USA only $475. One year warranty. 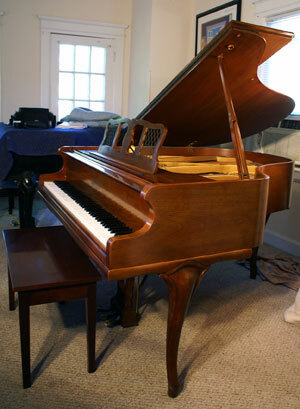 Gorgeous Cherry Mahogany 42″ Kawai Console, mint condition. Matching bench. great action response and tone. Like new. Only $2200. Free LI/NYC vicinity delivery. Questions Call sonny Direct 631 475-8046. One year warranty. 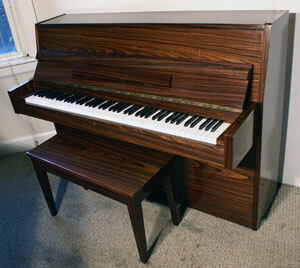 Art Case Chickering 5′ Baby Grand, beautiful walnut grain, new key tops, made in 1964, excellent condition inside and out. 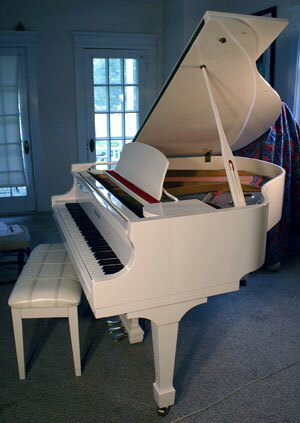 Chickerings are one of the best hand crafted American made pianos ever manufactured, rich tone and responsive action. Only $4950. Free LI/NYC vicinity delivery. All else continental USA delivery only $475. Call Sonny Direct for further info 631 475-8046. 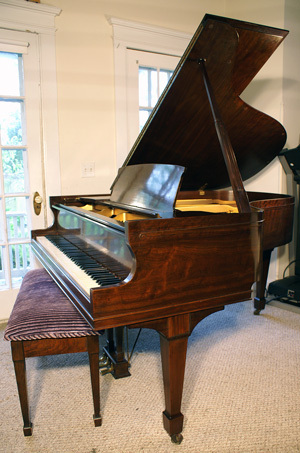 Gorgeous Rosewood Schumann Console 20 years old rarely if ever played. Mint, like new condition, great tone and factory action response. Questions? Call Sonny Direct 631 475-8046. Free LI/NYC vicinity delivery.